Start Diving Today!Get your PADI Scuba Diving certification with the BEST! At Adventure Divers we provide a wide range of PADI diving courses which are the most popular and world wide used scuba diving courses in the world!. PADI (Professional Association of Diving Instructors) is a world wide dive organisation & is recognised everywhere! Some of these courses can be completed in just 2 hours if you have time constraints, or for your full certification course it can take as little as 3 days! This dive experience is perfect for people who have a morning or afternoon to experience the underwater world, where you will complete a short pool or confined bay session with scuba equipment, and then be taken to the Mediterranean sea for your scuba dive in the clear warm waters full of aquatic life, whilst under the close supervision of your PADI instructor. 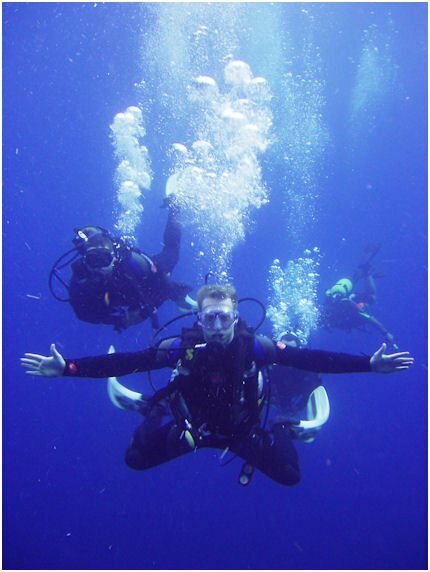 A great way to experience diving in a safe environment without having to complete a course! This is a sub course within the open water diver course. It opens up diving to those who have time constraints, and those interested in diving within groups & tours guided by a certified professional. It invites divers to experience diving & encourages them to continue training to the Open Water Diver level & beyond, which can be completed at any time after gaining the Scuba diver level. This course includes theory which is self study and classroom sessions, practical pool sessions and 2 open water training dives. Fully inclusive, no hidden extras. This is the most popular diver certification in the world. With Standards set by PADI, the world’s number one dive organisation, you’ll learn all the essential & basic rules that all safe divers abide by. As a certified PADI Open Water Diver, you’ll have the freedom to carry out diving activities independent of any professional guidance, anywhere in the World! Everyone who can swim, is in good health & reasonably fit can earn a PADI Open Water Diver certification. The course takes 3-4 days & all equipment, insurance, air fills and diving services are included in the price along with the PADI open water pack, which contains all the relevant studying material. This course includes theory which is self study and classroom sessions exam, practical pool sessions and 4 open water training dives.